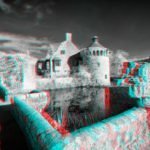 Welcome to my Anaglyph page. There are a couple of things to mention about this page. Firstly no, you are not seeing double and you don’t need to see an optician, you are looking at a series of Anaglyph images; I’ll explain shortly. 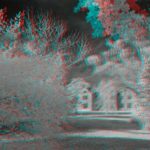 Secondly, you will need a pair of red/blue glasses in order to see the images properly. These can be obtained quite cheaply from a variety of sources. 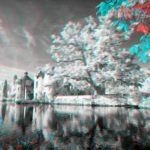 Anaglyph 3D is the name given to the stereoscopic 3D effect achieved by means of encoding each eye’s image using filters of different (usually chromatically opposite) colors, typically red and cyan. 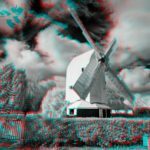 Anaglyph 3D images contain two differently filtered colored images, one for each eye. 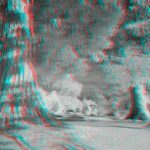 When viewed through the “color-coded” “anaglyph glasses”, each of the two images reaches the eye it’s intended for, revealing an integrated stereoscopic image. The visual cortex of the brain fuses this into perception of a three-dimensional scene or composition … are you still with me? I first became interested in this kind of imaging some years ago but more as a viewer than as a creator. 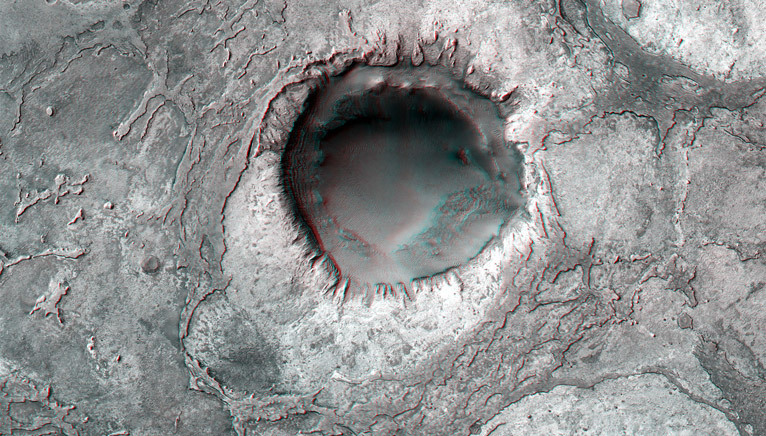 When NASA first started to land roving vehicles on the surface of Mars they published anaglyph images on their website at http://mars.nasa.gov/mars3d/. 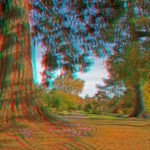 Being a space buff and finding it unlikely that I would ever get to travel there myself, I decided that the cheaper option was to purchase a pair of anaglyph glasses and be enthralled at our nearest alien neighbour. Crater in Meridiani Planum photographed from a Mars orbiter. Skipping forward a few years, I decided to find out exactly how these images are created and, to my amazement, they are exceptionally easy to do. All that is required is a camera and a very basic knowledge of Photoshop to produce some stunning imagery. These images can be produced as ‘normal’ visible light images or, as in many cases on these pages, as infrared images. I won’t go into how they are created but, if you wish to know more, please do drop me an e mail at gkbain@aol.com.